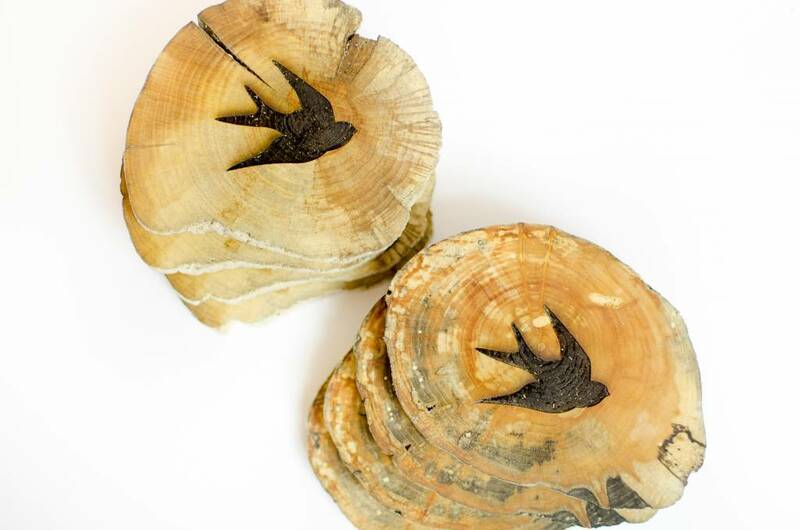 Laser engraved West Coasters featuring a swallow graphic by Woodrift Co.
West Coasters are unique, handmade coasters cut from reclaimed driftwood salvaged from beaches across Vancouver Island. 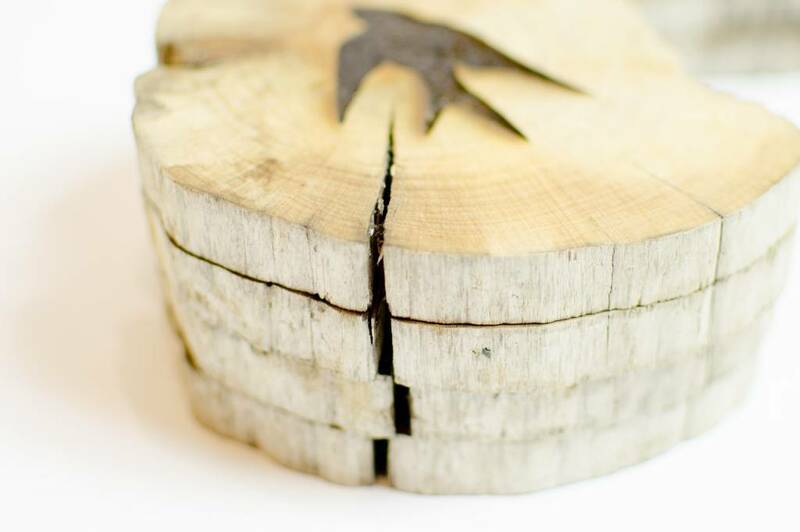 Each log is different, transformed by natural processes to reveal spalting, stunning natural colours and wood grain textures. 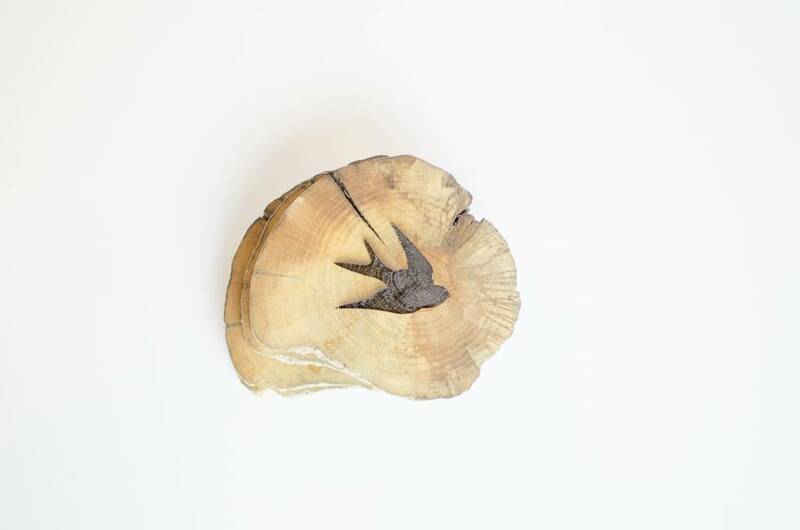 Treated with our natural beeswax-based Wood Wax, these coasters are water resistant and eye-catching. Great for beer, coffee, wine, cocktails and other beverages. 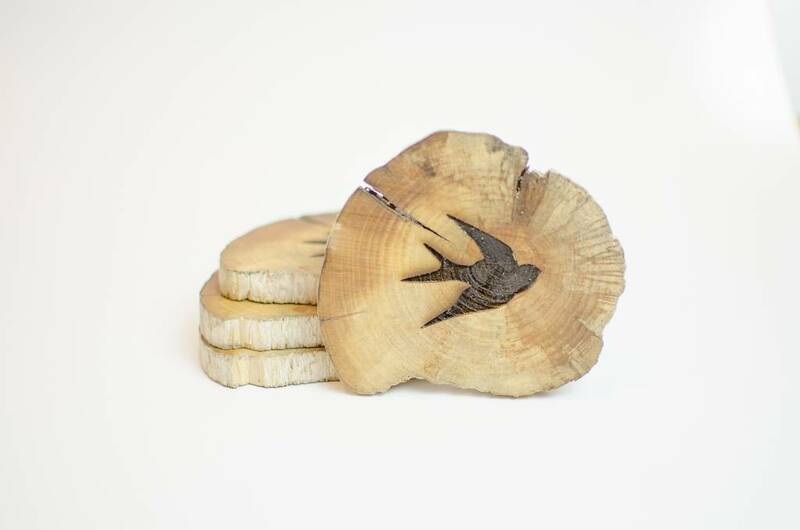 The coasters, designed and handmade in Victoria, BC by Woodrift Co., come in sets of four, stacked in their original log profile and packaged with natural rubber bands instead of plastic for minimal environmental impact. 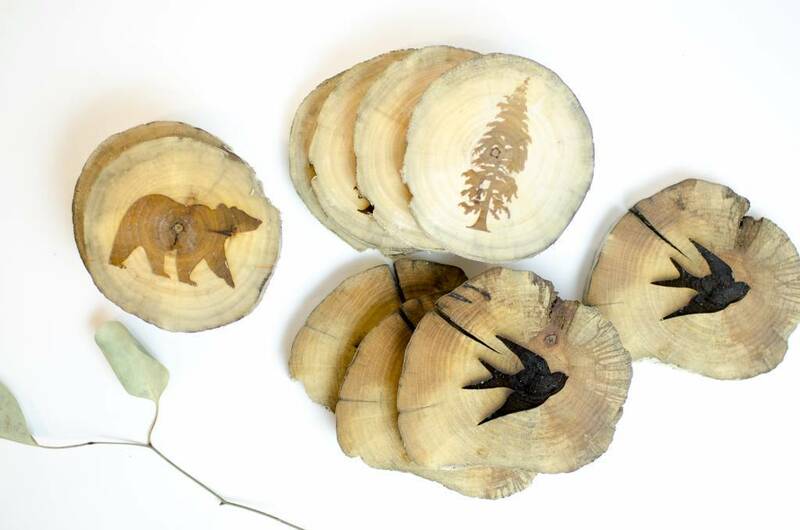 Due to the nature of drift wood, each set will have individual and unique sizes, markings, shapes, and colours. All sets are one of a kind!